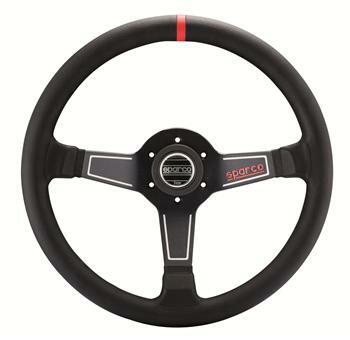 Sparco Steering Wheel - Tuner - Monza L575 UNIVERSAL - Pann Auto Performance - San Diego largest aftermarket automotive performance parts - What do you drive? The Sparco Monza L575 is a refined version of the Monza L550 with limited color finishes but the option of either suede of leather spokes. Semi-dished (65mm) for shorter reach and greater leverage. 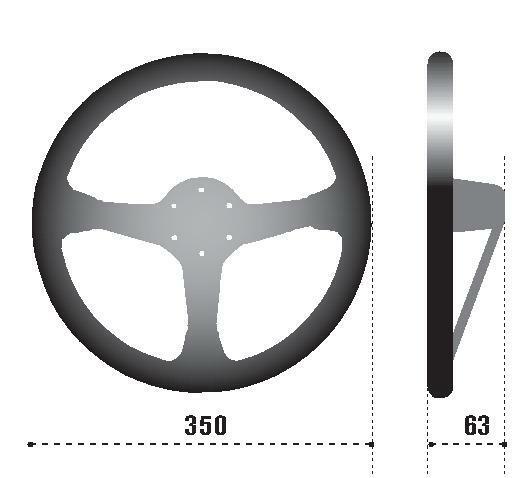 Red center position marker at top of wheel rim.